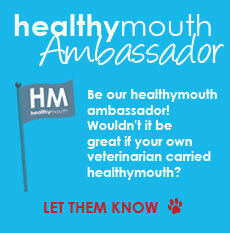 The HealthyMouth LLC Advisory Board is comprised of leading scientists, veterinarians and executives with expertise and exhibited devotion to canine, feline and equine health. These individuals do not receive remuneration and have given their time and knowledge for solely advisory purposes ensuring that health information HealthyMouth LLC communicates to animal owners and to animal practitioners is current and accurate. In 2008, she was the first and only veterinarian in New Mexico to earn the title Fellow of the Academy of Veterinary Dentistry (FAVD). She became a Diplomate of the American Veterinary Dental College (DAVDC) in 2010. Both certifications are earned after years of intensive training, followed by a rigorous application process and examination. As a Diplomate of the AVDC, Dr. Bannon became the first and only board-certified veterinary dentist in the state of New Mexico! She was elected to serve a five year term on the Board of Directors for the American Veterinary Dental Society in 2006. In 2011, she was chosen as President-Elect for the American Veterinary Dental Society. In her free time, Dr. Bannon enjoys volunteering with the Peter Emily International Veterinary Dental Foundation, using her advanced dental skills to benefit disadvantaged and captive wildlife in sanctuaries across the country. Dr. Bannon enjoys teaching other veterinarians about quality dental care, and lectures frequently within New Mexico and nationwide. 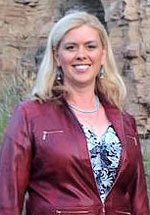 She is also a consultant for the dental specialty board on the Veterinary Information Network. Dr. Bannon is very enthusiastic about dentistry, and wants to share with everyone the positive effects that good dental health and oral hygiene can have on the quality of life for our beloved furry friends. If you have any questions, please feel free to call, email, or just ask. 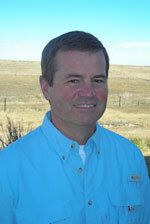 Brett Beckman, DVM, was recently appointed the 2008-2009 President of the American Veterinary Dental Society. He is a graduate of Mississippi State College of Veterinary Medicine. 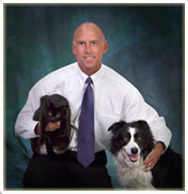 He holds advanced degrees as a Fellow of the Academy of Veterinary Dentistry (one of 77 such vets in the world), as a Diplomat of the American Veterinary Dental College and as a Diplomat in the American Academy of Pain Management making him the only specialist in the world in both veterinary dentistry and pain management. Dr. Beckman was also a nominee for the Bustard Veterinarian of the Year Award and was named 2007 Alumni of the year for Mississippi Sate University's College of Veterinary Medicine. Dr. Dodds received her D.V.M. degree with honors in 1964 from the Ontario Veterinary College, University of Toronto. In 1965 she accepted a position with the New York State Health Department in Albany and began comparative studies of animals with inherited and acquired bleeding diseases. Her position there began as a Research Scientist and culminated as Chief, Laboratory of Hematology, Wadsworth Center. 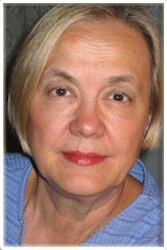 In 1980 she also became Executive Director, New York State Council on Human Blood and Transfusion Services. This work continued full-time until 1986 when she moved to Southern California to establish Hemopet, the first nonprofit national blood bank program for animals. From 1965-1986, she was a member of many national and international committees on hematology, animal models of human disease, veterinary medicine, and laboratory animal science. Dr. Dodds was a grantee of the National Heart, Lung, and Blood Institute (NIH) and has over 150 research publications. She was formerly President of the Scientist's Center for Animal Welfare; and Chairman of the Committee on Veterinary Medical Sciences and Vice-Chairman of the Institute of Laboratory Animal Resources, National Academy of Sciences. 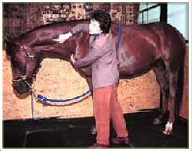 In 1974 Dr. Dodds was selected as Outstanding Woman Veterinarian of the Year, AVMA Annual Meeting, Denver, Colorado; in 1977 received the Region I Award for Outstanding Service to the Veterinary Profession from the American Animal Hospital Association, Cherry Hill, New Jersey; in 1978 and 1990 received the Gaines Fido Award as Dogdom's Woman of the Year; and the Award of Merit in 1978 in Recognition of Special Contributions to the Veterinary Profession from the American Animal Hospital Association, Salt Lake City, Utah. In 1984 she was awarded the Centennial Medal from the University of Pennsylvania School of Veterinary Medicine. In 1987 she was elected a distinguished Practitioner of the National Academy of Practice in Veterinary Medicine. In 1994 she was given the Holistic Veterinarian of the Year Award from the American Holistic Veterinary Medical Association. She is an active member of numerous professional societies. Today, Dr. Dodds is actively expanding Hemopet's range of nonprofit services and educational activities. The animal blood bank program provides canine blood components, blood bank supplies, and related services throughout North America. Hemopet's retired Greyhound blood donors are adopted as pets through the Pet Life-Line arm of the project. On behalf of Hemopet, she consults in clinical pathology nationally and internationally. She is also the Editor of Advances in Veterinary Science and Comparative Medicine for Academic Press. In addition, Dr. Dodds is the holder of six patents related to animal genetics, antibodies, health care, nutrition and wellness. Fraser Hale graduated from the Ontario Veterinary College in 1984 and spent the next six and a half years in small animal general practice. In 1991 he started a mobile veterinary dental service, traveling from clinic to clinic. In 1994 he became a Fellow of the Academy of Veterinary Dentistry and established a stationary dental practice within a general practice in Guelph, Ontario. In 1997, Dr. Hale became a diplomate of the American Veterinary Dental College and in 2003 he opened Canada's first dental-only veterinary practice, also in Guelph. Dr. Hale has been a member of the American Veterinary Dental Society since 1987, has served and continues to serve on several committees of the Academy of Veterinary Dentistry and the American Veterinary Dental College. Dr. Marx is originally from Wisconsin. He graduated from the United States Military Academy at West Point in 1981, with a Bachelor of Science degree in Engineering and served as an Army officer and paratrooper in the U.S., Europe, and Asia. He received his Doctor of Veterinary Medicine from Colorado State University in 1995, and was a partner in a mixed animal practice in Conifer, CO. He is currently on the AAEP Dentistry Committee. Dr. Marx conducts equine dentistry seminars both nationally and internationally. He has practiced equine dentistry exclusively for 11 years and operates Advance Equine Dentistry based in Parker, CO.
Dr. Schwartz is a graduate of the Louisiana State School of Veterinary Medicine. He has over 20 years experience and has learned to pay close attention to the oral health of animals to improve longevity and quality of life. 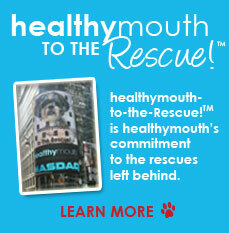 Dr. Schwartz's keen interest in healthymouth TM's safe mechanism of action and clearly visible benefits have led him to wholeheartedly endorse it for all pets in all life stages. Judith M. Shoemaker, DVM, is an internationally known practitioner and educator in complementary veterinary medicine and therapy. Dr. Shoemaker is a 1980 graduate of the University of Georgia College of Veterinary Medicine. She is licensed to practice in most of the states on the East Coast and in Colorado, Kentucky, Indiana, and Alabama. Dr. Shoemaker's equine and companion animal veterinary practice focuses on complementary medicine and holistic therapy - integrating chiropractic, acupuncture, and other alternative modalities. The practice's equine patients include Thoroughbred and Standardbred racehorses, pleasure horses, draft and gaited horses, top-level competition horses in dressage, open jumping, endurance, western sports, and combined training. Over the last ten years, Dr. Shoemaker has been affiliated with premiere equine sports therapy centers, providing comprehensive maintenance, therapeutic management, and consultation to equine competitors in the US and internationally. Many of Dr. Shoemaker's canine patients are competitors in performance events such as obedience, agility, lure-coursing, and tracking. She provides therapy and maintenance support to service dogs and to search and rescue dogs as well as many wonderful family companions. 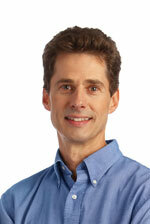 Dr. Shoemaker has taught anatomy at the University of Pennsylvania School of Veterinary Medicine. She has advanced training in both small and large animal orthopedic internal fixation surgical techniques from the Ohio State University and ASIF/AO, advanced training in animal reproduction from Colorado State University, and training in multiple modalities from private internships. She is certified as a veterinary acupuncturist through the International Veterinary Acupuncture Society, in which she has also served as an instructor and a representative of the American Academy of Veterinary Acupuncture. In the 1980's, she received private tutelage in chiropractic, and since 1989, instruction through the American Veterinary Chiropractic Association - of which she is a charter member. Dr. Shoemaker teaches the most sophisticated level of expertise available in animal chiropractic and acupuncture through the Diplomat and Continuing Education programs of the AVCA, AAVA, AHVMA, and Maximum Horse Power. Dr. Shoemaker lectures extensively, both in the United States and abroad, on Integrative Medicine and therapy, as well as providing instruction through her practice. 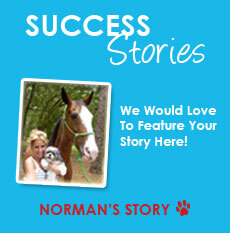 She has served as a board member and representative for AVCA, AAVA, IVAS, and AHVMA. Judith's personal interests include horse training, music, gardening, and continuing education in self-improvement and spiritual practice. Dr. Anson J. Tsugawa graduated as a veterinarian from the University of Pennsylvania, School of Veterinary Medicine. He then completed an internship in Small Animal Medicine and Surgery at the Metropolitan Veterinary Hospital (Akron, OH) and a residency in Dentistry and Oral Surgery at the University of California-Davis, Veterinary Medical Teaching Hospital. During the final year of his residency, he was elected as Chief Resident of the Small Animal Clinic. Following his residency, Dr. Tsugawa returned to the University of Pennsylvania as a Lecturer in Dentistry. 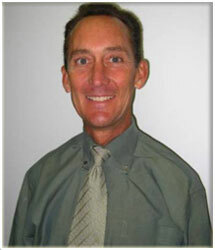 Dr. Tsugawa is board-certified in veterinary dentistry, Diplomat of the American Veterinary Dental College. He holds an appointment as the Chairman of the American Veterinary Dental College Examination Committee. Among his many accolades, Dr. Tsugawa is the recipient of the American Veterinary Dental College Outstanding Candidate Award (sponsored by Pfizer Animal Health), a national award presented to a highly qualified and productive veterinarian who has recently achieved board certification in veterinary dentistry. 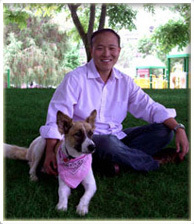 Currently, Dr. Tsugawa practices in Los Angeles, CA at the California Animal Hospital Veterinary Specialty Group. He lives in Los Angeles with his wife, Dr. Lynette D'Urso Tsugawa, a board-certified veterinary cardiologist, and three cats (Cobbler, Sake and Tigger). Dr. Tsugawa's passion is to educate pet owners that dental care is essential to the health and longevity of "the 4-legged family member."